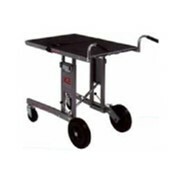 Versatile, maneuverable, lightweight yet robust heavy duty design all encompassed with a non slip deck available in two different sizes and three configurations makes this Richmond Platform Trolley perfect for most applications. 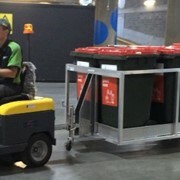 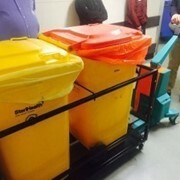 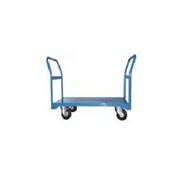 An ergonomic design to take the strain out pushing goods safely and efficiently, the platform features a reinforced underside for optimum strength and durability. 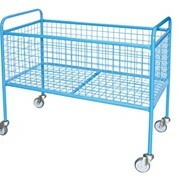 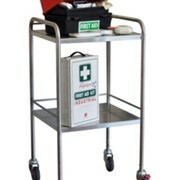 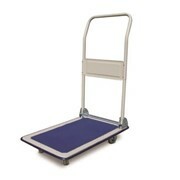 Surrounded by a plastic bumper to prevent damage to walls and furniture the platform trolley is not only for industrial uses. 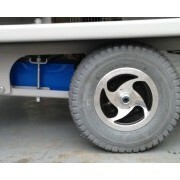 A wide array of wheel options can be customised to suit floor surfaces. 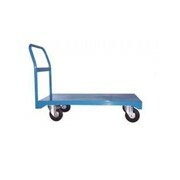 Of course all Richmond Castors offer the smoothest quietest ride for operator comfort and performance. 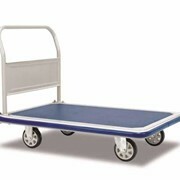 The 910x610 deck sizes come with a foldable handle to make storage and transporting in the back of vehicles easier. 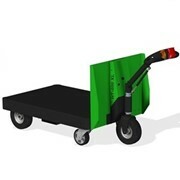 The larger 1160x760 platform comes with the option of having a handle at either end for maximum productivity.